Mrs Fields Macquarie joined our Mission to help provide access to “Clean Water for All by 2030”. This Mission was initiated by the United Nations. A big thank you to Mrs Fields Macquarie’s team and customers for joining this extremely important mission on 23 July 2018. Cookies Australia Pty Limited is the Australian Master Franchisee for Mrs. Fields Famous Brands LLC USA. Cookies Australia is proudly 100% Australian owned and serves Mrs. Fields exclusive product range, through their network of independently owned franchised stores. 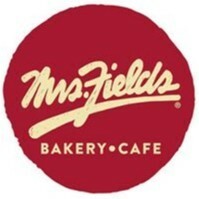 Mrs. Fields cookies, brownies and muffins are made from Debbi Fields’ secret original recipes, however, all our products are manufactured right here in Australia and are baked fresh in-store. Mrs. Fields core product range may have originated in United States, but we have customised our offer over the years to include premium espresso coffee, roasted and blended by our Master Roaster, at our factory located in Mt Kuring-gai, Sydney and exclusive to Mrs. Fields franchised stores.